Natural Health without Drugs or Surgery! 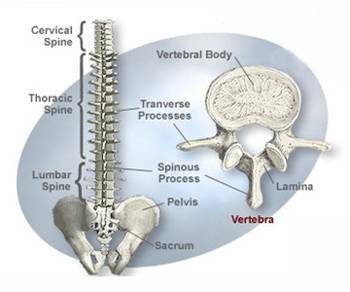 Your spine, which is made up of 24 moving vertebrae (7 cervical, 12 thoracic and 5 lumbar), allows for movement of your neck and back and also houses and helps protect your spinal cord. All of your spinal nerves branch off from your spinal cord and exit from in-between each vertebral articulation, branching and traveling throughout the rest of your body. It is these spinal nerves that serve as pathways from your brain to your body allowing your brain to communicate with your body and control all the processes that occur within it, such as lungs breathing, heart beating, food absorption, muscle contraction and pain sensation. The focus of the chiropractor is to locate and correct spinal mis-alignments, termed spinal subluxations, which are defined as improper motion or position of a vertebra. Subluxations may cause spinal nerve irritation, which manifests as symptoms such as muscle spasms, numbness/tingling and pain, all of which are designed to allow your body to signal that something is wrong. Depending on which levels in your spine the nerve irritation is present, your symptoms will usually present in specific areas that correlate with those nerves. Chiropractors correct spinal subluxations through a process called a spinal adjustment. Adjustments are meant to re-align the spine and return normal motion, position and function to the spinal column, therefore eliminating spinal nerve irritation and restoring normal function to your body. Regular spinal adjustments help improve joint flexibility, eliminate pain and aid in overall good health. 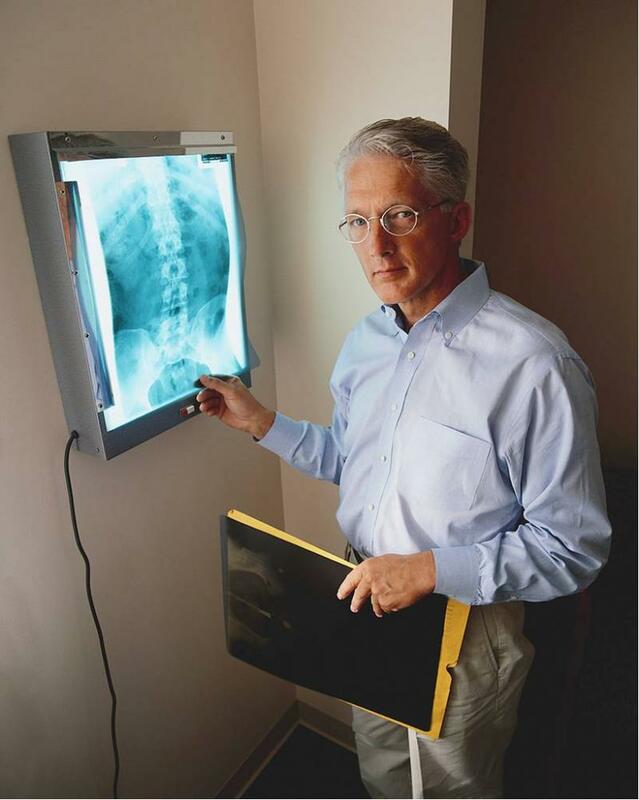 While adjustments are important for normal spinal function, Dr. Custode also focuses on correcting spinal stabilization muscles, posture and abnormal spinal curvatures to prevent reoccurrence of injury or pain. This is accomplished through spinal adjustments, exercise and the use of specific types of traction depending on your condition. Additionally, massage therapy is also incorporated to alleviate muscle spasms that may slow down treatment progress. Chiropractic care is useful as a non-invasive, natural and conservative therapy for many different aches and pains, treating without the use of drugs, needles or surgery. Patients present to a chiropractic office primarily with many different neuro-musculo-skeletal complaints such as, but not limited to: headaches, muscle pain, joint pain, numbness and tingling, herniated discs, sciatica, neck and back pain, hip pain, extremity pain, scoliosis and pinched nerves. Many seek chiropractic care as a way to stay healthy and include spinal adjustments as part of their normal health regimen to maintain health and wellness for themselves and their families. Chiropractic care keeps joints healthy, discs healthy and maintains normal spinal range of motion. For health conscious parents, it is also a great way to guide growing children in the right direction toward better posture with a healthy spine and a mindset toward wellness and preventive care. Chiropractic survived its early years because, quite simply, it works! Early doctors of chiropractic underwent years of scrutiny and even jail time for treating their patients. This was mainly due to lack of education on the benefits of chiropractic care and how it affected the body. This has changed significantly in our present time after years of research and education. Now doctors of chiropractic are licensed in all 50 states as spine care specialists, and in most of the world as specialists in healthcare. With years of research conducted by many different governments of the world, including the USA, and in countless private studies, chiropractic/spinal manipulation has been proven to be a safe, effective health care option for neck and back pain, returning patients to normal health in a timely and cost effective manner. The benefits of spinal manipulation and its effect on our health and our nervous system has been a popular research topic for some time now. Research still continues in specialized areas of chiropractic treatment and can be found in both chiropractic and medical peer-reviewed journals and on the web at pubmed and other research outlets made available to the public. Today chiropractic health care is available to patients through almost all major health insurance companies, on military bases, in the White House and for our Veterans. Additionally, it is becoming more common to see medical and chiropractic doctors working together in multi-disciplinary practices, offering complete health options for their patients and their different needs. Additionally, the education that a doctor of chiropractic receives (four years of graduate school study) is similar to that of a medical doctor, with chiropractic studies focusing more on nutrition, physical treatments and orthopedics rather than pharmaceuticals and surgery for treatment of patients. Because chiropractors offer a more natural approach to healing they are often sought after for relief from injury before attempting medication or undergoing surgery for injuries. Check back with us regularly to get an update on current specials offered on treatment. We are continually updating our promotions to offer special incentives to keep your spine in line and healthy. 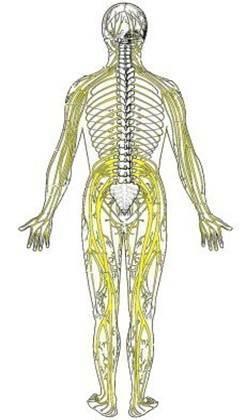 Your spinal nerves branch off from your spinal cord and travel throughout your body. Most aches, pains and muscle spasms originate from irritated spinal nerves caused by spinal subluxations. 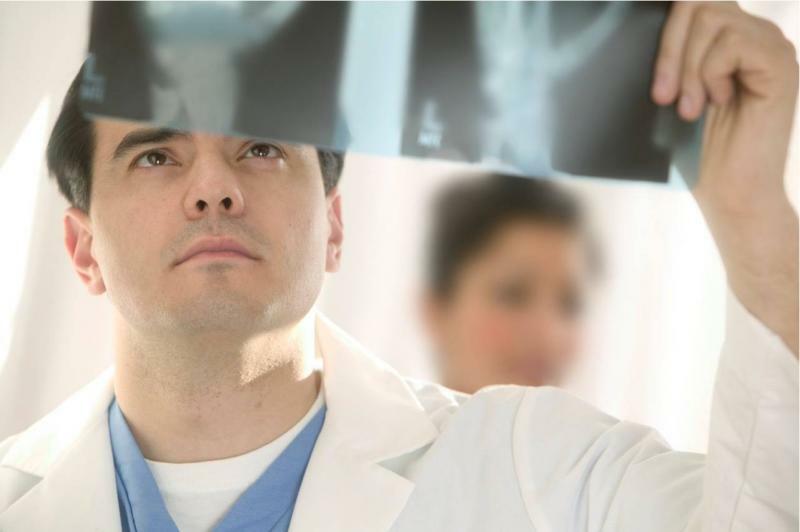 Traditionally focusing on the spine, chiropractors now treat neuro-musculo-skeletal injuries in all areas of the body. Today’s approach to health incorporates care from different healthcare providers depending on your condition.